Russian-occupation troops in violation of a ceasefire they had long breached are increasing the intensity of attacks along the entire line of contact, the press center of the ATO Headquarters reported on Facebook. Compared to previous days, the number and intensity of enemy shellings have almost doubled. In addition, the militants increasingly use artillery and other weapons banned by the Minsk agreements. 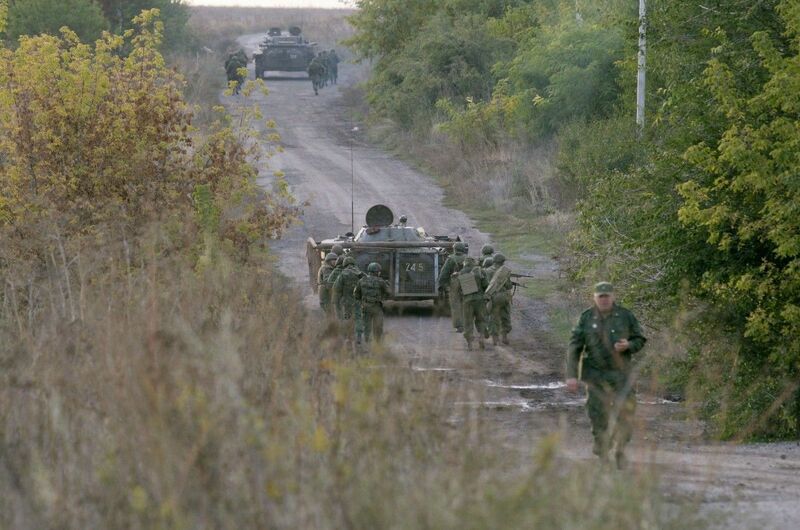 Throughout the past day, the invaders opened fire 38 times on the positions of the Ukrainian Armed Forces. Ten armed provocations were carried out by the enemy with the use of mortars of various calibers. Traditionally, the lion's share of episodes where the invaders engaged banned weapons against Ukrainian troops took place in the dark part of the day. Prymorske direction yesterday was reported as the hottest zone of fighting. Russia's hybrid armed gangs violated the ceasefire 20 times. In particular, they fired on Ukraine’s positions from 82mm mortars near Berezova, Novotroitske, Krasnohorivka, and Novomykhailivka. Near Shyrokine, Vodiane, Pavlopil, Hnutove and Maryinka, the Kremlin mercenaries methodically fired at Ukrainian military from grenade launchers, heavy machine guns, small arms, and in certain areas - from infantry fighting vehicles. In the Donetsk direction, pro-Russian illegal armed groups opened fire on the units of the ATO forces eight times. Almost all these armed provocations were recorded in the outskirts of Avdiyivka. Read alsoDetainee Ageyev captured in Donbas confirms being Russia’s "contracted serviceman"On the Luhansk line, 10 facts of the use of weapons against Ukrainian forces were recorded. In the early hours, the enemy shelled the positions of the Armed Forces of Ukraine near Krymske and Novotoshkovske from 120mm mortars, continuing shellings throughout the day. In particular, militants fired from small arms near the village of Zovte, twice fired at Krymske defenders from grenade launchers and heavy machine guns, and in the area of Malynove they used grenade launchers. Late in the evening, 82mm mortars, automatic heavy-duty grenade launchers, and heavy machine guns were fired at the positions of the Ukrainian military in Novozvanivka.